The Universe is unfathomably massive – it’s so vast, that so far mankind has barely scratched the surface. 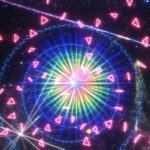 What we can’t realistically achieve for now can be made possible through virtual reality space experiences. VR media developers and production houses of all sorts are scrambling to leverage the power of virtual reality through immersive and lifelike visual tours of intergalactic space. 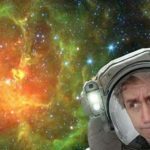 If you want to see beyond the Earth’s atmosphere without actually being there, have a look at this list of space exploration VR experiences that you can have right now. 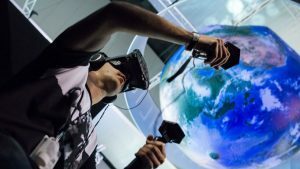 The collaboration between the National Aeronautics and Space Administration (NASA) and Melbourne-based Opaque Media Group (OMG) has led to the development of Earthlight, a virtual reality space-walk experience that uses high-end VR headsets and hand-based controllers. 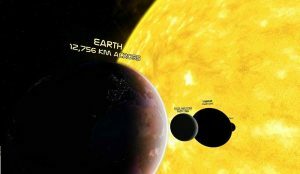 First demonstrated at the PAX Australia gaming convention last 2015, Earthlight VR lets you take the experience of being an astronaut walking in orbit, first-handedly seeing the Earth being enveloped in the darkness of space. A narrow field of view is achieved with the bulky VR headset, helping to replicate the constrained nature of the spacesuit. OMG took advice from NASA in order to achieve the sense of microgravity within Earthlight through accurate visual elements and making use of ultra-low latency between the user’s physical movements and the visual response. 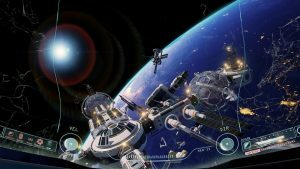 If you are in the mood for a space VR experience with a heavy storyline, the ADR1FT space game experience might be something worth looking at. Beginning the story with the player being a stray in space with no memory of a tragic past, ADR1FT takes you to a mission of gaining valuable resources from scratch, learning about living in space, and fighting for survival. The emotional and physical attachments of this VR space game will take your senses to an entirely new level of immersive gaming. 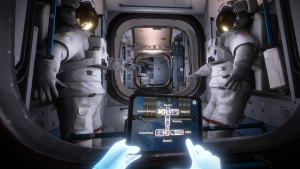 ADR1FT is available for the PC, PlayStation 4, and Xbox One with the help of the Oculus Rift VR headset. 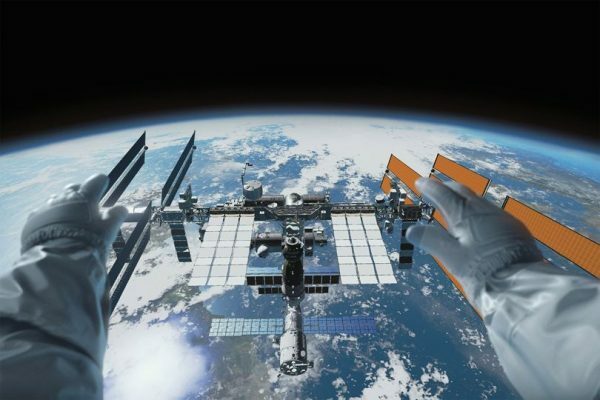 Created by London-based studio Rewind and news network giant BBC, the spacewalk experience called “Home: A VR Spacewalk” is heavily inspired by works of NASA and European Space Agency (ESA) training programs, and takes you 250 miles above ground. 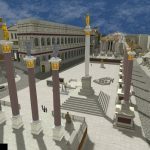 This VR space experience is quite unique among its contemporaries, as it won the Audience award at the Sheffield International Documentary Festival, owing to its use of experimental VR elements such as spatial audio, integrated haptics and biofeedback, and use of Unreal Engine 4 for advanced graphics. Home: A VR Spacewalk evokes the user’s sensory feedback through its novel use of narrative storytelling and advanced multisensory technologies, resulting in an immersive and realistic spacewalk experience. 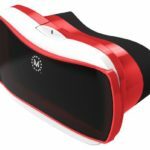 It uses the HTC Vive VR headset and a haptic chair in the virtual tour. The latest among all space exploration VR experiences listed here, “Mission: ISS” is the brainchild of Oculus VR and three space agencies. Aiming to bring a realistic recreation of being in the International Space Station, Mission: ISS takes you to the routines being taken by ISS-based astronauts, which involves tasks such as docking cargo capsules, spacewalks, and many mission-critical operations. 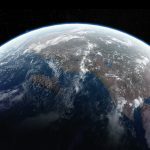 It’s a collaboration project made by visual effects studio Magnopus, NASA, ESA, and the Canadian Space Agency (CSA), with the purpose of bringing space down to Earth with an educational directive. Select high school students in the United States will have direct access to a pilot program that will showcase Mission: ISS through Oculus Rift headsets. Hoping to bring an educational tour of the Solar System, “Titans of Space” was originally conceived for the Oculus Rift Development Kit (DK) back in 2013 as one of the pioneer VR space exploration projects. Titans of Space showcases the beauty and vastness of the Solar System through its realistic visuals of planets and other celestial bodies such as moons and asteroids. An hour-long narrated tour introduces you to the virtual planetarium, showing each planet with their corresponding names and size measurements. There’s a high attention to detail in terms of relative distances and sizes, so you can measure up everything you see as you would actually see them in space. Titans of Space is available for the Samsung Gear VR, HTC Vive, and Oculus Rift headsets. Following suit with the likes of ADR1FT, “Homebound” takes you to an experience of space isolation and the need for survival. 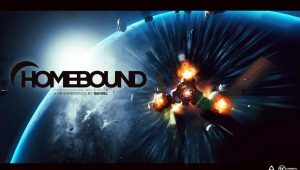 It’s a first-person space VR experience created by a single developer – you read that right, as Homebound is a work of an indie developer named Wiktor Öhman from the graphics tools studio Quixel. To boot, Homebound offers an interactive space VR experience where you play a character faced with the struggle of recovering from a disaster in space, and going through the facets of distress, isolation, and eventually, survival. Immersion is the key word in describing Homebound – it takes you into a virtual space where you are in full control of your fate, along with intricate visuals and a chilling storyline. Although the end of the story is quite predictable (spoiler: there’s only one ending), Homebound presents itself as a quick virtual space tour with an added touch of realistic drama and chilling exhiliration. Homebound is available for Oculus Rift, HTC Vive, and OSVR which can be used within the Steam PC application.